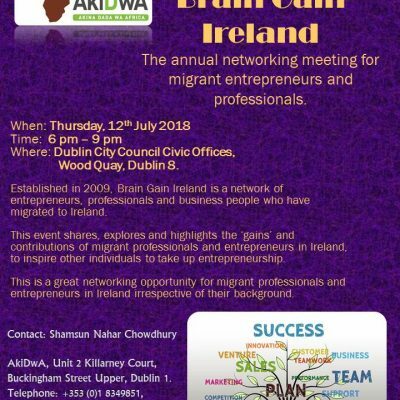 Network of migrant women in Ireland... Read More! Salome Mbugua and the just passed FGM Bill! Maisha—Germany, EKS—Czech Republic and AkiDwA- Ireland. AkiDwA Vision is a just society where there is equal opportunity and equal access to resources in all aspects of society, social, cultural, economic, civic and political. AkiDwA Mission is to promote equality and justice for migrant women living in Ireland.